YouTube has long been king of online video-streaming, with rivals like Vimeo and DailyMotion not even getting close. However, after releasing its own long-form video app IGTV, Instagram has now made its claim for the throne. 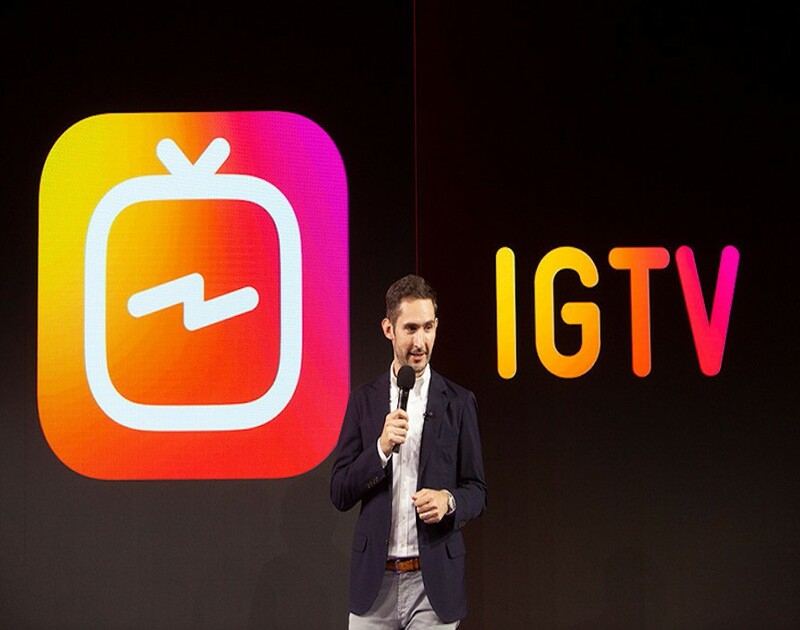 In a dramatic departure from the company’s still-image beginnings, IGTV won’t just exist as its own app but will enable Instagram users to upload an hour of footage instead of a minute. However, staying true to its mobile-based audience, videos defy horizontal angles by locking to the vertical view of a phone. To drum up support, Instagram rolled out the red carpet for homegrown celebrities like King Bach as well as top-followed stars such as Kim Kardashian West to first stream on the service. With the release of the monthly billed YouTube Premium this Monday, Instagram’s fresh offer is certainly timely. Workers’ poor mental health can undoubtedly affect businesses in a bad way. That’s why it’s encouraging to see huge investments in startups trying to boost emotional wellbeing. This week saw one of them, Calm, a mindfulness and meditation app, close a $27m series A round. The funding round was led by Insight Venture Partners, the VC firm, and supported by Ashton Kutcher’s Sound Ventures. With over 26 million downloads, it now plans to increase their footprint by spreading mental wellbeing. Calm is co-founded by Alex Tew, The Million-Dollar Homepage and Michael Acton Smith, the serial entrepreneur best known for Moshi Monsters, the online game, who long-term readers will recognise as Elite Business’ first cover star. So if you’re looking to regain you zen, then we’ve got an app that can mentally recharge you. Given SMEs comprise 99% of the economy, experts watch them like hawks for the slightest signs of panic – especially with the Brexit deadline next March. And contrary to fears, a new report shows that 47% of small-business owners expect to see their exports jumping by that time. Having surveyed 500 scaleups and more than 500 non-scaleups, Smith & Williamson, the financial services firm, also found that merely 12% predict exports drop over the next 12 months. When taking a magnifying glass to companies with 50 to 250 employees things look even brighter, given three in five see increases and one in seven have faith in their turnover rocketing beyond 50%. British SMEs look ready to set sail overseas more than ever. However, the wind can easily change between now and nearing the ides of March next year. Beware Brit professionals. Having too much fun on the weekends or watching reruns of your favourite episode at work might cost you your job, according to a research by Turner Little, a company formation enterprise. Whatever your guilty pleasures might be, its better to keep them for hours after work or it might be your last day at your desk. After probing Donald Trump to grant freedom to a 63-year-old from prison to speaking with Twitter CEO for an edit button for tweets, Kimmie definitely knows how to use her contacts to the fullest - a great lesson for startup leaders. Shocking research revealed that three out of four business owners think they have never employed a transgender person. Even more worryingly, one in three head honchos would be reluctant to hire a transgender worker. Apart from entertainment, the football teams can definitely teach you a few winning strategies to use in business. With artificial intelligence taking over and sliding into every industry, we asked the question of whether we are prepared to see driverless cars on the roads? Even with deadlines and targets, how can professionals stay motivated at work without having to succumb to mental health issues? Whether it was the much needed sunshine, the marriage that saw us welcome a new Duchess of Sussex into the royal family or the World Cup, the online market is booming with better profits leaving the high street still in losses.